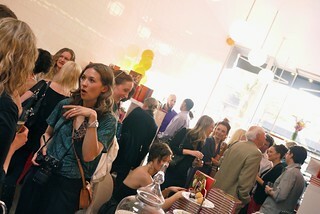 Tracy Stern SalonTea Canadian boutique grand opening party on Granville Street on May 5, 2012. 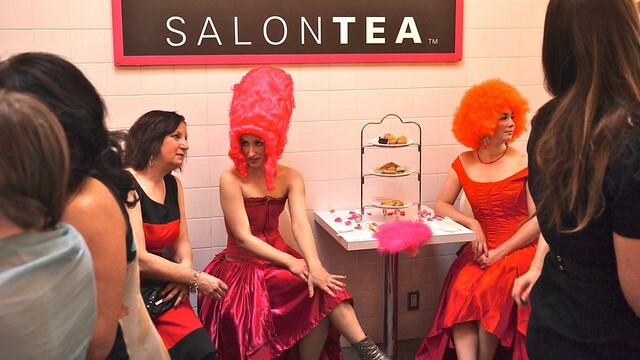 The spacious SalonTea boutique now opened on South Granville. 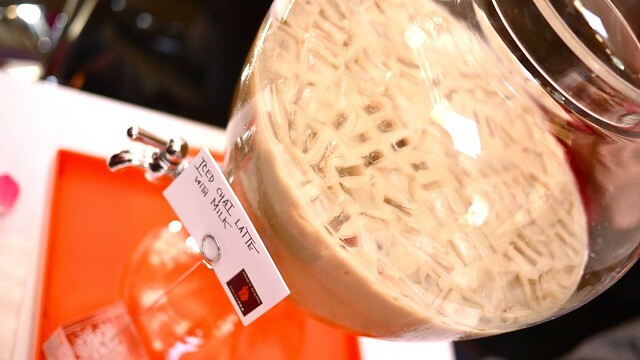 Sampling some delicious iced chai latte with milk at the Canadian grand opening of SalonTea's new boutique tea shop. 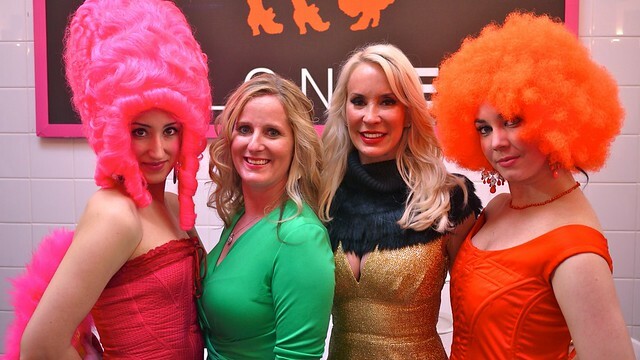 President Sarah Ambrose and CEO Tracy Stern with a couple spiffy pink and orange models celebrating the grand opening. Friends and family packing the long, cavernous shop, trying some tea samples and bites. 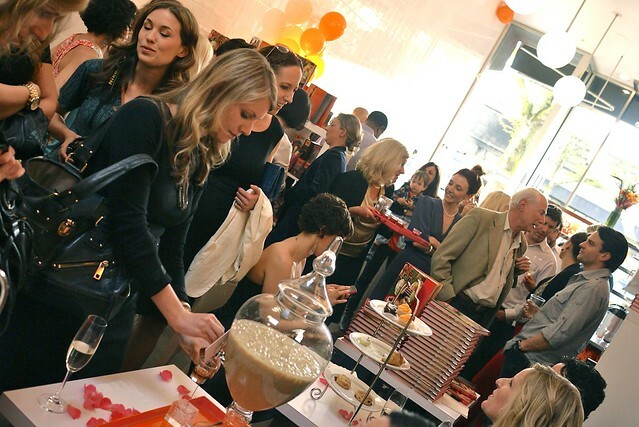 Eudorah Koh (left) and company mingling and lounging about, enjoying the bright white, pink, and orange decor filled with tea goodies. 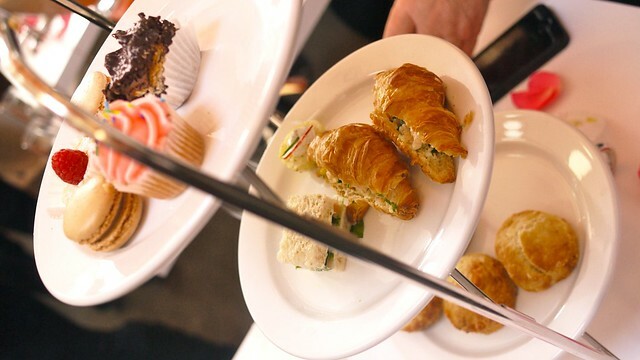 Various treats of macarons, cupcakes, scones, mini sandwiches, and croissants from Meinhardt next door. 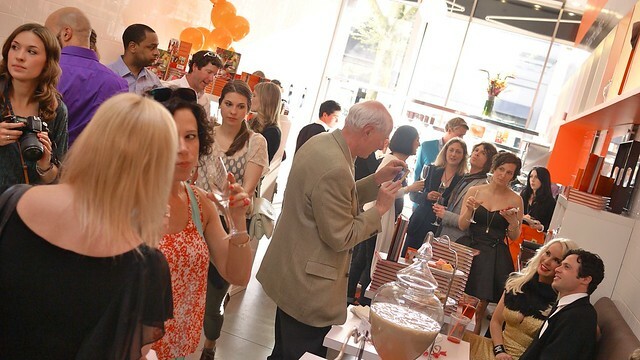 Evoking tea culture and high class, originally from New York, spreading across the United States and now on the Canadian west coast.